Today, we get to take a look at Abraham’s son, Isaac: Gen. 22:1-14. Abraham took the wood for the burnt offering and put it on his son Isaac. He himself took the firestone and the knife; and the two walked off together. Then Isaac said to his father Abraham, “Father!” And he answered, “Yes, my son.” And he said, “Here are the firestone and the wood; but where is the sheep for the burnt offering?” And Abraham said, “God will see to the sheep for His burnt offering, my son.” And the two of them walked on together. 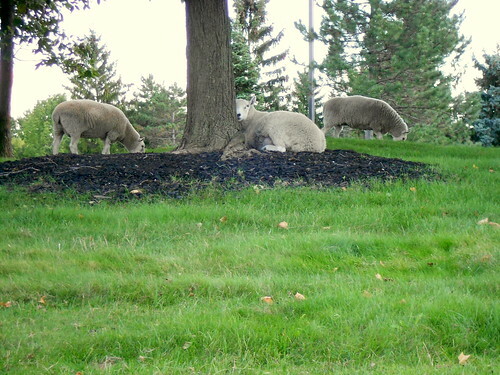 These sheep do not look concerned that they might be offered up as a burnt offering.